By now you probably know that Pinterest is the third most popular social media network, right behind Facebook and Twitter. For some brands, it drives more traffic than LinkedIn, Google Plus, and YouTube combined. However, there’s a big a misconception that Pinterest is only for products, crafts, or recipes. While it may have started out that way, Pinterest has now expanded its reach to marketers, bloggers, coaches, authors, consultants, local businesses, and everyone in between. With a little creativity and fresh ideas, you can use Pinterest to drive lots of traffic and sales back to your website. On Pinterest, you set up boards around specific topics, and then add images or videos (also known as “pins”) to your boards. For example, you can create a board around specific vacation spots, cities you’ve visited, and even your favorite colors. Other Pinterest users can follow your boards, but the main difference between Pinterest and other social media networks is that on Pinterest users can choose to follow only one or a few of your boards or all of your boards. The goal is to provide relevant content so that other users follow ALL of your boards, not just a few of them. As a content marketer, the best way to do this is to think about your customers and ideal clients and create boards around what they would be interested in. So while you may want to use Pinterest to share your best organic smoothie recipes or to gather ideas for decorating your baby’s room, try to stay away from creating boards that focus only what you are personally interested in. While videos are not as popular on Pinterest as images are (yet), creating a board with videos is a great way to increase engagement with your Pinterest followers. Whether you post videos of a recent speaking engagement, videos of behind the scenes at your company or video testimonials from your clients, adding video to your Pinterest boards is a great way to drive traffic back to your website or your YouTube channel. 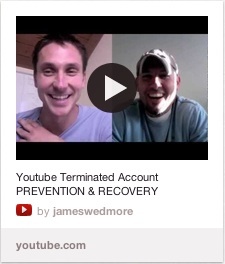 James Wedmore, a YouTube expert, does a great job of this in his YouTube Case Studies board. Want to show your clients and customers some love and support? Why not create a board honoring them and their companies or achievements? This is a great way to strengthen your relationships and to highlight their brand. 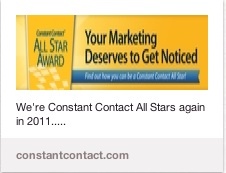 Constant Contact’s Our Customers board is a great example of this, as is Marie Forleo’s Community Love board. As a content marketer, sharing information to educate your audience is one of your main marketing strategies. A strong Pinterest board idea is to create a board around relevant books that your audience will find useful. It’s a great way to establish your expertise and to provide relevant information. To see an example, check out Launch Grow Joy’s Books Worth Reading board. Also, if you authored a book, this is a great place to promote it without seeming overly promotional. 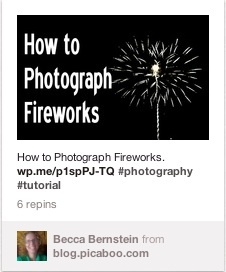 Advice and how-tos are two of the most re-pinnable pins on Pinterest. Gather up useful resources, think about what type of advice your audience is looking for, and create a Pinterest board around it. 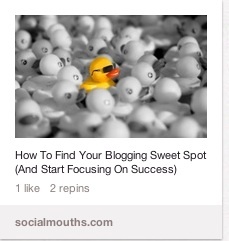 SocialMouths does a great job with this on their SocialMouths board. If you find something useful, chances are that your ideal customer will find it useful as well. Creating a board with useful resources establishes you as an expert in your field and provides value to your followers. 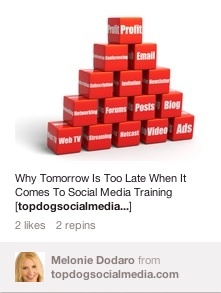 Take a look at Melonie Dodaro’s social media strategies pinterest board, as a great example. Social media is all about sharing resources, connecting and supporting others whose work you believe in. Why not set up a Pinterest board to highlight other content marketers or entrepreneurs in your niche? This is a great way to build relationships with your peers (who can become affiliates and support your efforts as well) and to share their content with your readers as well. Angela England, a pro blogger and author, does a great job with this through her board, Social Media Moms. Are you going to be speaking at an event or conference and want to let your audience know? Pinterest is the perfect venue for this. Whether you pin upcoming conferences or share images and videos from conferences you recently attended, this is a great way to let your audience know that you are in-the-know with industry events. 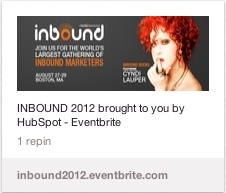 HubSpot has done a great job with this by pinning highlights of their Inbound Conference on this board. 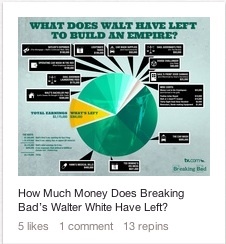 Infographics often go viral on Pinterest because they provide useful information for your readers. Think about what data your target market is interested in and create your own infographics (by hiring a designer or using a tool like Piktochart.com) to present that data in a Pinterest-friendly way. Check out some infographics examples that Mashable shares on its infographics board. 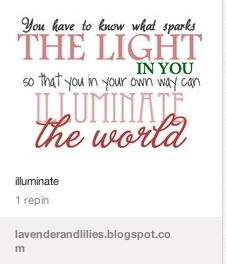 Everyone loves quotes, especially Pinterest users. Whether it’s a quote about success, business, or hope, creating an image out of words (using a tool like Quozio.com) and setting up an Inspiring Quotes board is a great way to find new followers, inspire others, and drive more traffic back to your website. 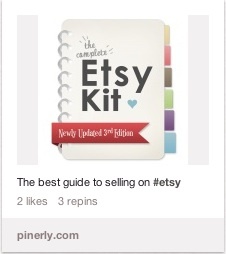 Karen Gunton’s Shineboard is a great example of creating pins that go viral and that others want to share. While having relevant boards is a must on Pinterest, using eye-catching images on your blog and website is equally as important. The more interesting and relevant your images are, the more likely your readers and visitors are to share them on Pinterest. Use a tool like Pinstamatic.com to create images out of quotes or grab an image from iStockPhoto.com, add some text to it using PicMonkey and you’ll have an image that will go viral in no time! If you haven’t jumped on the Pinterest bandwagon yet because you thought that you don’t have anything pin-worthy on your blog or website, I hope you found these board ideas useful. Head on over to Pinterest.com, request an invite and start creating your boards with your target audience in mind. Before you know it you’ll start seeing lots of new traffic and clients from Pinterest. Andreea Ayers is a Pinterest expert and author and she currently blogs at www.LaunchGrowJoy.com on everything from getting publicity for your brand to getting your products in stores. Her Pinterest marketing tips and strategies have been featured in national magazines, on radio and online.